"We are the first to break down the incidence of SUID by neighborhood in Harris County. 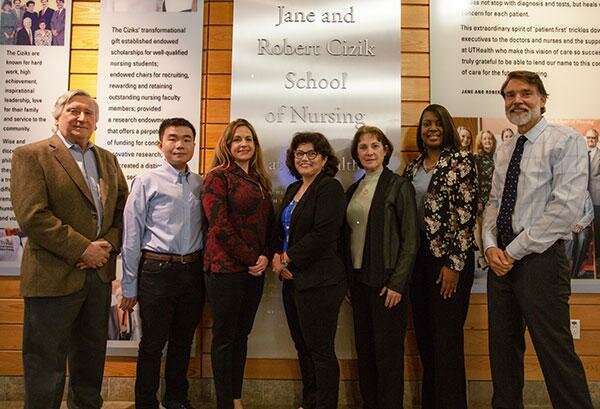 Our hope is that this information will be used to implement intervention strategies such as the 'Back to Sleep' safe sleep campaign," said Stacy A. Drake, Ph.D., MPH, RN, the study's lead author and an assistant professor with Cizik School of Nursing. Three high-risk areas were identified by examining the autopsy reports of 732 sudden unexpected infant death cases in Harris County between 2004 and 2013. One is in the county's north central area and includes Aldine and Greenspoint; a second is in the northeast area and contains the Fifth Ward, Settegast, and Kashmere Gardens; and a third is south and encompasses Sunnyside and South Park. "The retrospective examination of infant deaths in Harris County highlighted that the prevalence of SUID occurred primarily within areas of poverty," Drake said. "These findings also suggest that there are modifiable risk factors that can reduce the incidence of SUID." Most were found dead while co-sleeping. "Co-sleeping with infants is not for adults who are heavy sleepers or who use alcohol or drugs," Drake said. "The vast majority who were sleeping on their back were found on an unsafe sleep surface," she said. Drake said, "Of the 162 sleeping in a crib, 139 were determined to be in an unsafe environment, which could include stuffed toys, blankets, pillows, and improperly fitted sheets." The study confirmed a known association between smoking and SUID. "If you are a smoker and are planning a family, you should quit as soon as possible. More than 50 percent of the maternal co-sleepers in the study had a history of tobacco use," she said. Additional research is warranted to determine why 90 percent of the infants reportedly had an illness within 72 hours of death, Drake said. "What this means in light of impending death is not known," she said. "The take-home message for parents is to follow the advice of the American Academy of Pediatrics. Children should sleep alone. They should be on their backs. And, they should be in a crib," Drake said.